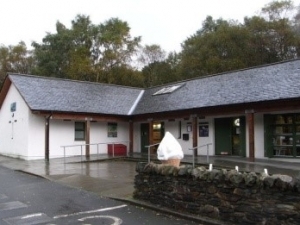 This Visitor’s Centre, incorporating tea room, shop, toilets information centre and display area was completed for Loch Lomond & Trossachs National Park Authority in Arrochar. Services design had to take cognisance of the remote location and lack of utility gas main, and consequently incorporated electric panel heating, and water heating. Energy use was to be dealt with through betterment of u-values, and thermostatic / timeclock control over the systems.